DAVID LE/Staff photo. 3/14/15. 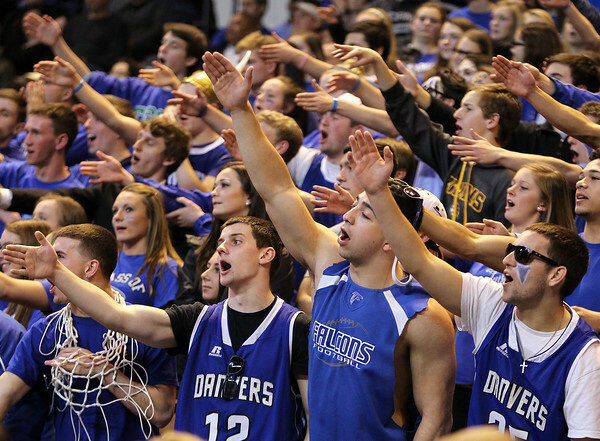 The Danvers fan section taunts the Marlboro fan section during the D2 State Championship.